The images of the recent Boston Marathon bombing were hard to watch. Confusion, mayhem, running for cover, tending to the injured. It reminded me of the suicide bombings in Israel of yesteryear. 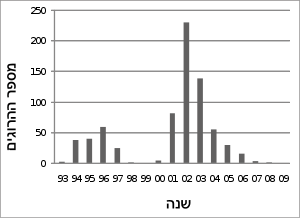 The attacks, mostly carried out by Hamas, reached their peak in 2002. Since then, a 20-foot high concrete wall was erected along the West Bank with multiple checkpoints. It proved to be very effective in thwarting terrorist attacks, as can be seen by the graph above. You’d think that after a decade of quite, Israel would let down its guard. But you’d be wrong. 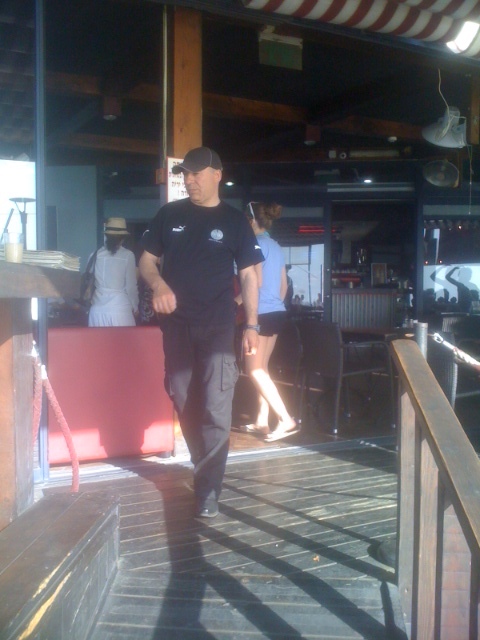 It’s been almost two years since my return to Israel from the United States, and security is as tough as it ever was. Only now, I don’t notice it as much. Security is part of life. Much like after 9/11, we all have to remove our shoes and expose our smelly socks at airport security, here, in Israel, we all have to follow the rules. Security is all around, and around the clock. I encounter it as early as eight in the morning, the time I drop off my daughters at school. I go through an iron gate and stop. An armed guard approaches. “Good Morning,” I say. He leans into the car window, sees my half-asleep girls in the backseat, pulls away from the car, gives me the nod to proceed. In my rear-view mirror I see him return to his booth, a gun in his holster. I don’t give it a moment’s thought. It’s how it is. There’s a guard at the entrance to the supermarket. He’s carrying a gut. He must be getting free samples from the bakery. In his hands he holds a metal detector wand. He hardly uses it. After years on the job, he’s an expert at profiling. He knows the good guys from the bad. 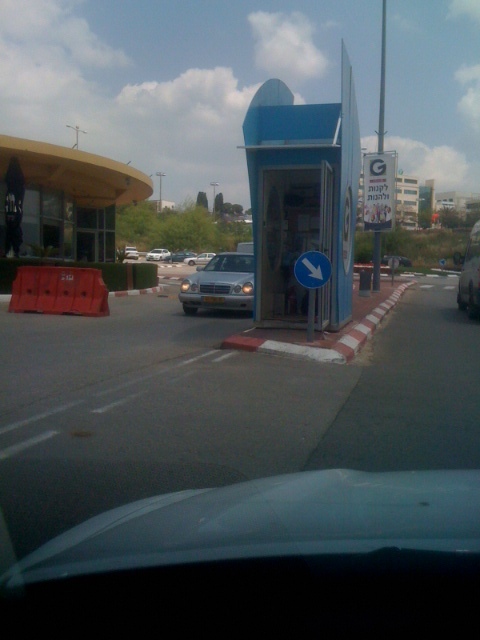 And the market we frequent caters to both Jewish and Arab Israelis. Somehow, using a sixth sense, he knows what he needs to know. Once I’m done with the groceries, I drop them off at home and my wife and I head to an open-air, large shopping center some 20 minutes from our house. I slow down my car at the checkpoint. Two young guards man the post. I know the routine. I roll the car forward, then stop. I see his familiar hand gesture to pop open the trunk. I follow his instructions. The engine’s still running. I hear a tap on the trunk, my signal that all is clear. I enter. It’s that quick, that simple. Do what they tell you, and you won’t even notice this tiny intrusion into your life. After shopping for clothes and housewares, we’re hungry. We dine at Joe’s Cafe. The guard measures us for an instant, lets us through. We step up to the hostess and ask for a table in the back. We sip our coffee, dig into our salads and sandwiches. 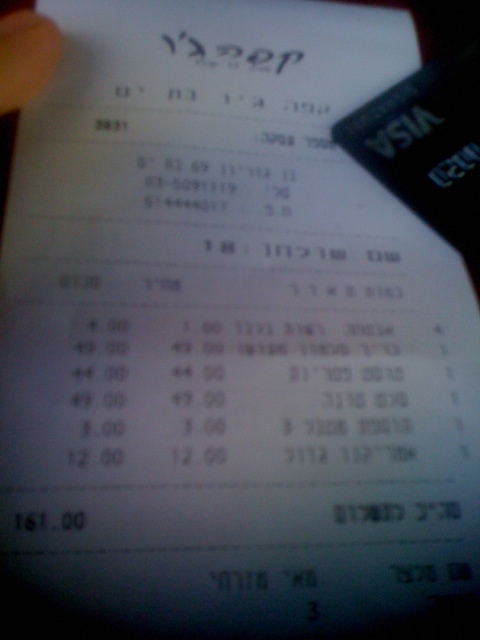 Once it arrives, I notice that we’ve been charged a “security fee” of 4 shekels ($1.10). The fee is meant to cover the expense of keeping a security guard on the premises. Not all businesses charge a fee. Many have raised a stink about having to “subsidize” the cost of security, but many see it as a necessary evil . Drink up, your coffee is getting cold. We get in the car and drive home, walk through our house gate. No guard here. “What’s for dinner?” my 14-year-old twin girls ask. It’s a wonderful day in Galilee. Maurice Labi is an Israeli-American who lived in Los Angeles for many years. In 2011 He returned to Northern Israel (Galilee) with his wife and twin teen-age daughters. He is of two lands, of two cultures and he blogs about his experiences in Israel, particularly from Galilee where Jews and Arabs dwelled for centuries. He has also written three novels: “Jupiter’s Stone,” “Into the Night,” and “American Moth” — available at Amazon.com or BN.com. 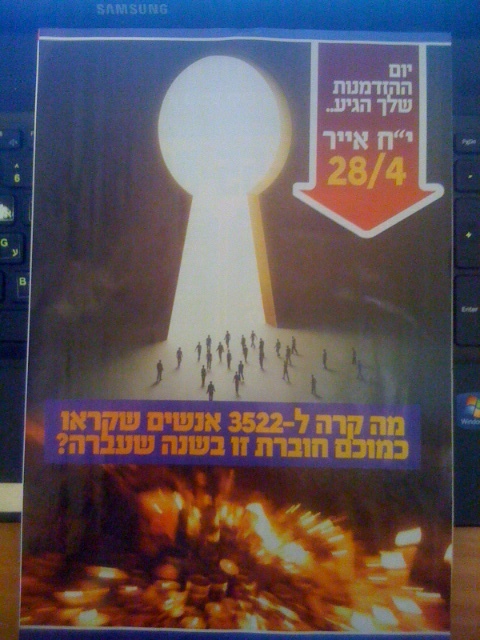 Last week, days before Lag BaOmer holiday, a sixteen-page pamphlet arrived in the mail. The pamphlet speaks of the miracles of Rabbi Shimon Bar Yochai, a 2nd century Jewish sage who revealed the secrets of the Kabbalah, or Jewish Mysticism. 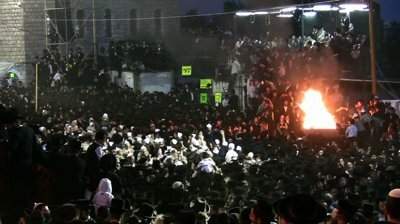 Lag BaOmer commemorates and celebrates the Rabbi’s life almost 2000 years ago. The pilgrimage to his burial site on Mt. 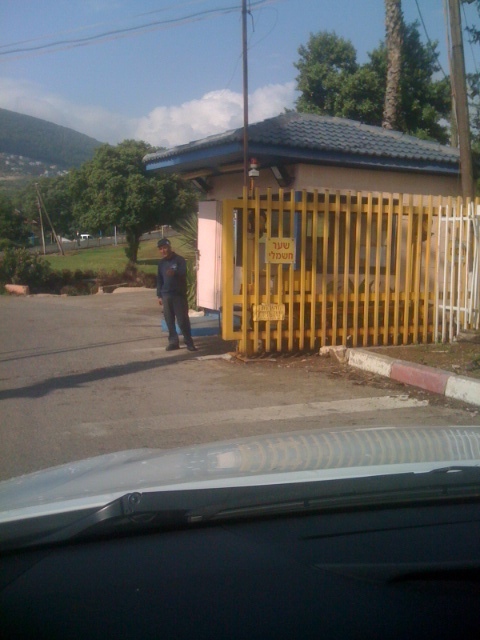 Meron in Galilee draws thousands of believers each year. This year, during LagBaomer, a record is broken. Almost 400,ooo believers came from across Israel to light the bonfire on Mt. Meron. That’s 5% (!) of Israel’s population in one place, at one time. That’s the equivalent of 16,000,000 (!) Americans coming to one place, at one time. There’s no Jimi Hendrix here, but plenty of men dancing into the night, plenty of prayers. Hundreds of orthodox boys, age 3, surrender their hair locks to a pair of scissors for the first time. According to tradition, just as the tree bears the best fruit after the third year, so are the boys who are ripe to learn the Torah. The travel to Mt. Meron is a logistical nightmare. Hundreds of buses snake their way north. Police and paramedics are stationed everywhere. Campgrounds are packed solid. Many suffer from heat strokes and dehydration. 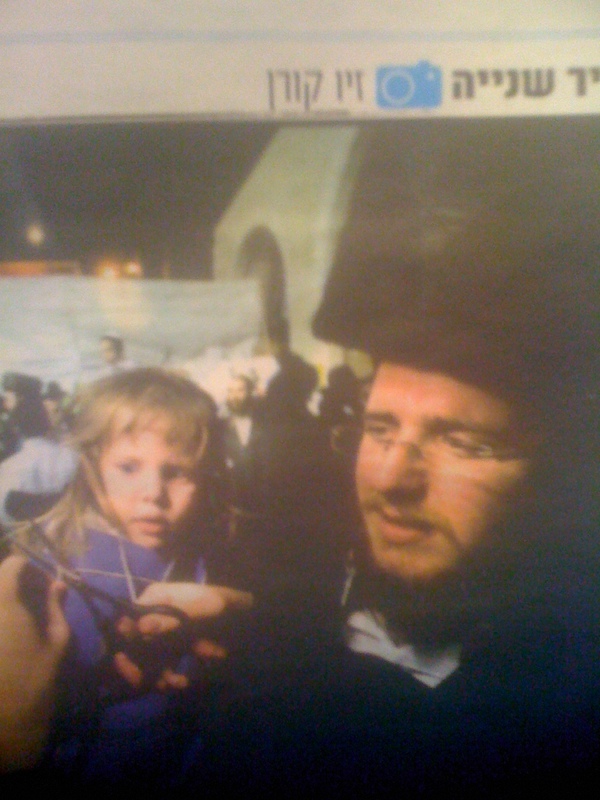 On the next page there’s a personal story from Yael Bitton, a 42 year-old woman who’d gotten married. A Miracle! One such person seeking help was my brother-in-law. He’s not religious, not in the least. Three years ago he built a house and the contractor made off with his money. His friend said, “Go to Rabbi Bar Yochai and you’ll get your money back.” One night my brother-in-law left the house early to beat the crowd. He arrived well before midnight. The place teemed with people. Ushers and security personnel manned the gates; they let in ten people at a time. Once inside, a rabbi placed his hand on each of their heads, told them their prayers will be answered, and were told to leave quickly. My brother-in-law waited until 2am, and seeing that the crowd continued to thicken, he turned back and went home. The Center’s website offers success stories through video. In it, a woman tells of pains that went away. An older, childless man says that he finally got the son he wanted. A man who suffered from dizzy spells became cured after he’d joined and donated to the center. Want a newborn, a cure, money, love? Just sign up for automatic contributions from your checking account each month. Or send in your donations. The phone rings. I lift the handset. It’s a recording. This one’s about dental implants.